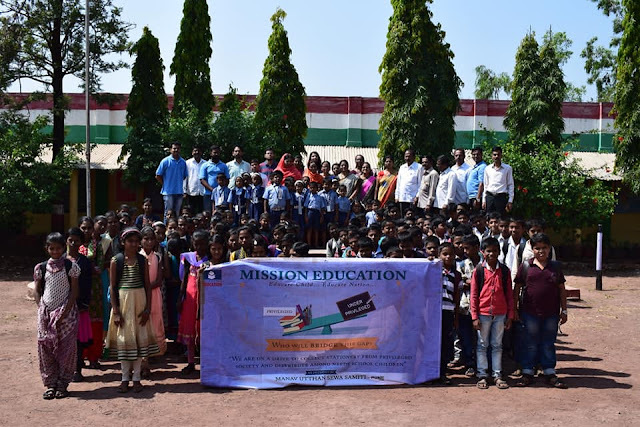 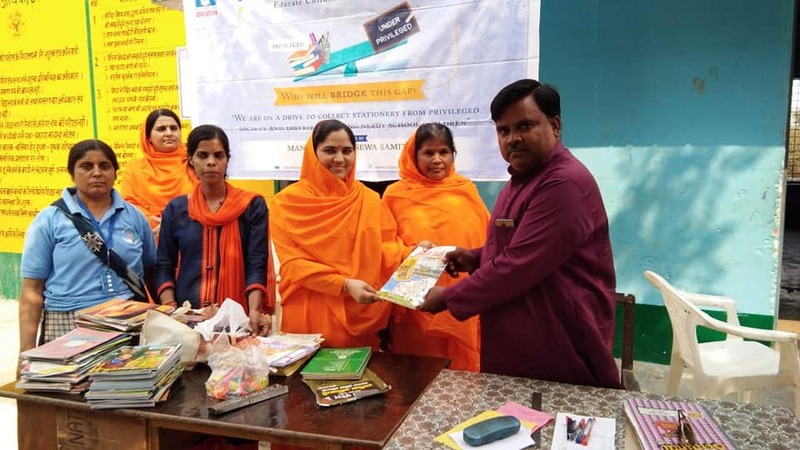 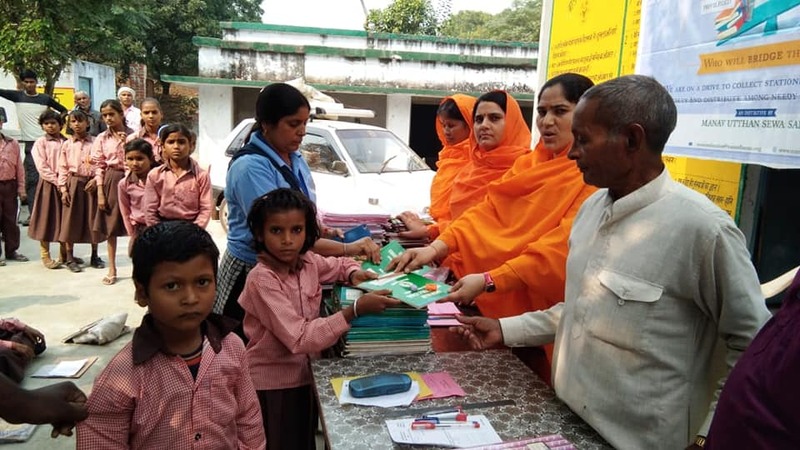 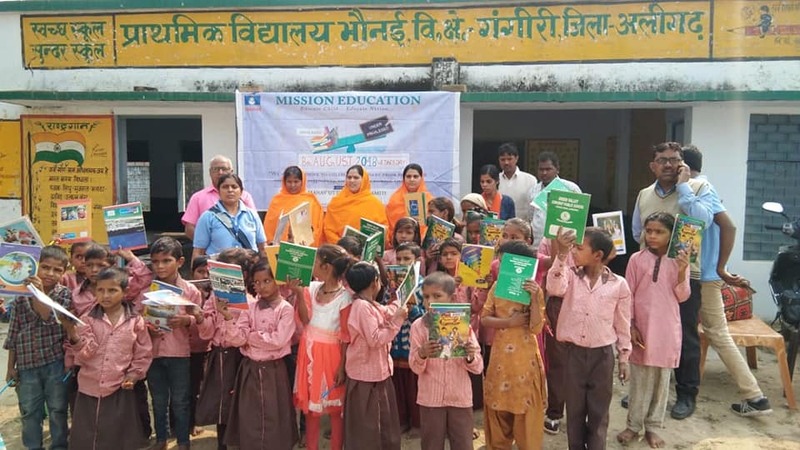 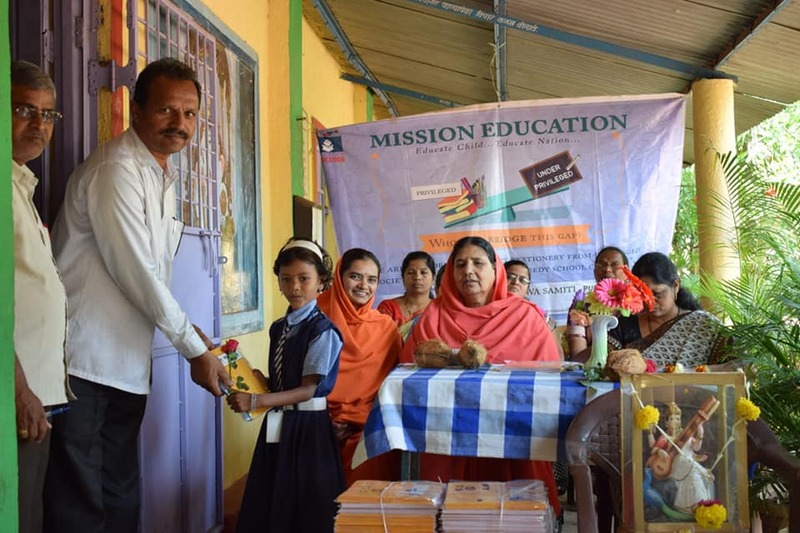 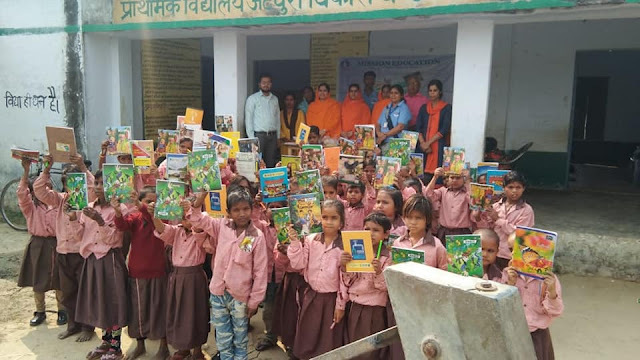 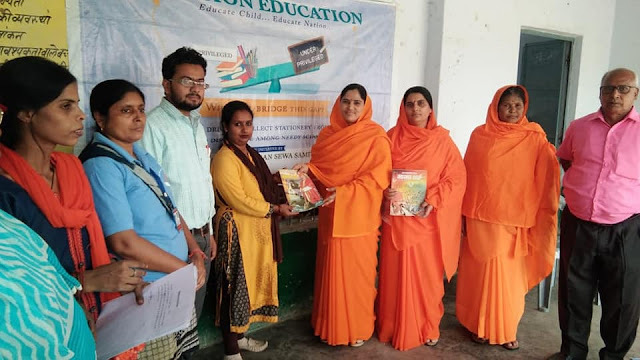 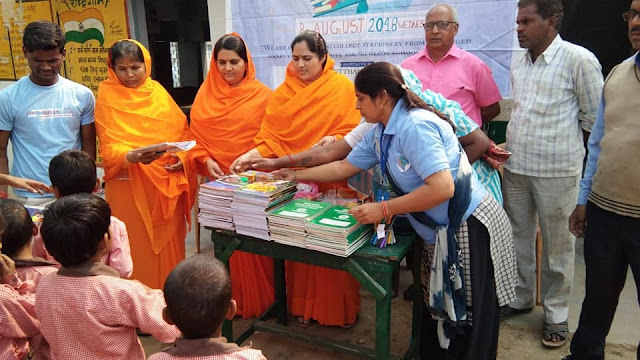 Mission Education team of chhara (U.P) distributed stationery items to 630 needy students. 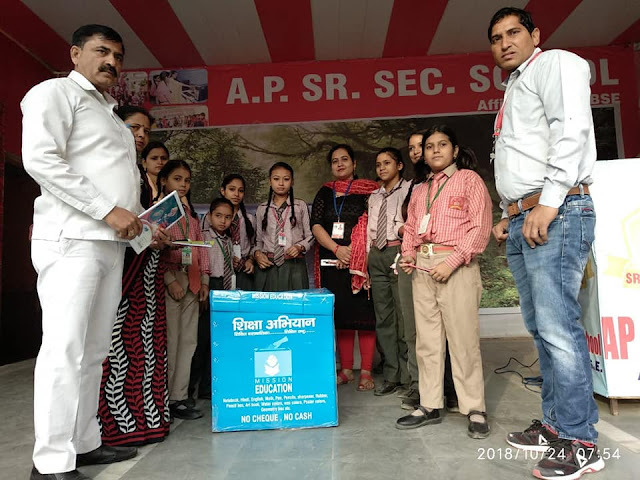 Mission Education Team of Faridabad (Haryana) Placed a Drop Box at Tharuram Girls Sr. Sec. School. 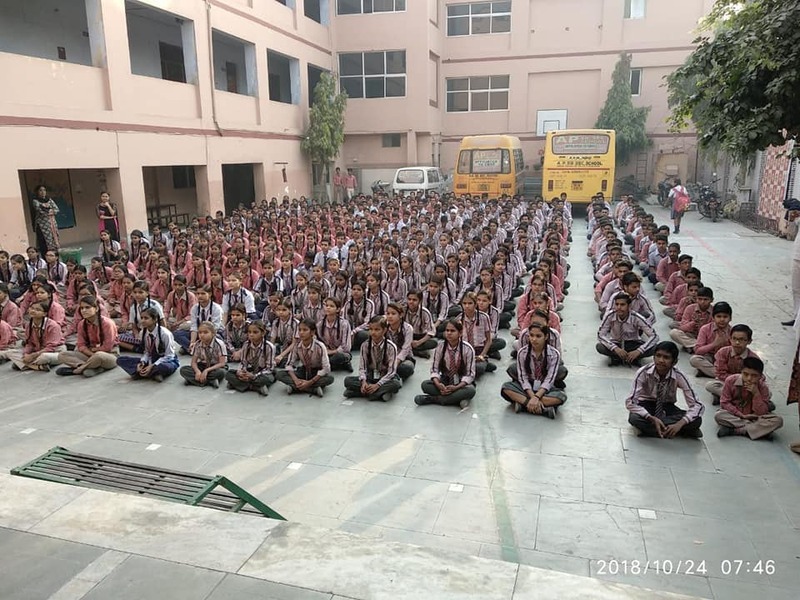 Mission Education team of Faridabad (Haryana) distributed stationery items to 80 needy students. 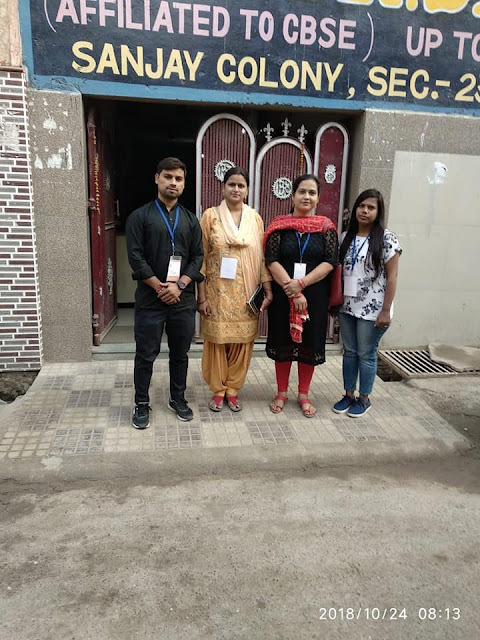 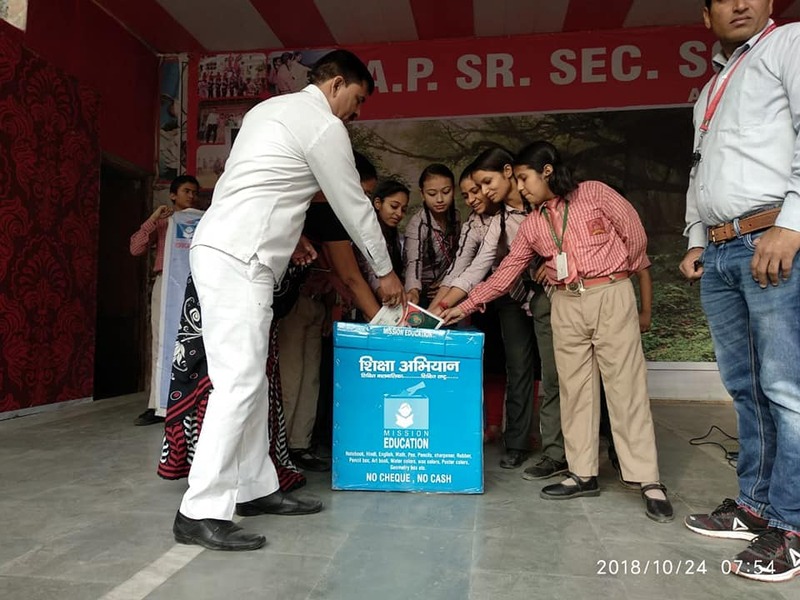 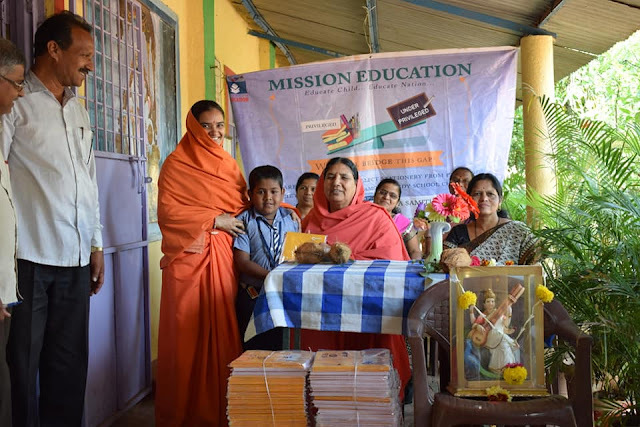 Mission Education Team of Faridabad (Haryana) Placed a Drop Box at A.P. 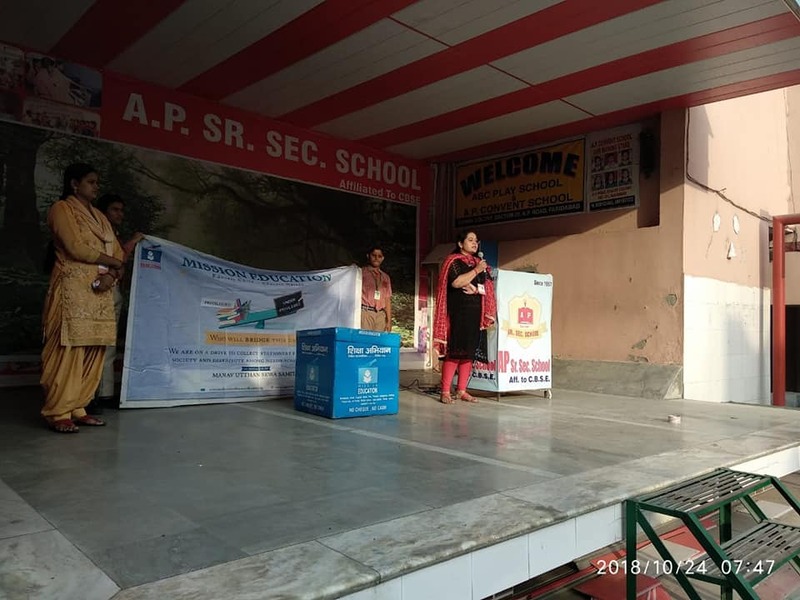 Sr. Sec. School.